Tras caminar por Mother Mary Catholic Church, muchos visitantes se detienen un momento en este café. Verás en su carta su perfectamente elaborado queso mascarpone y su casero menudo. 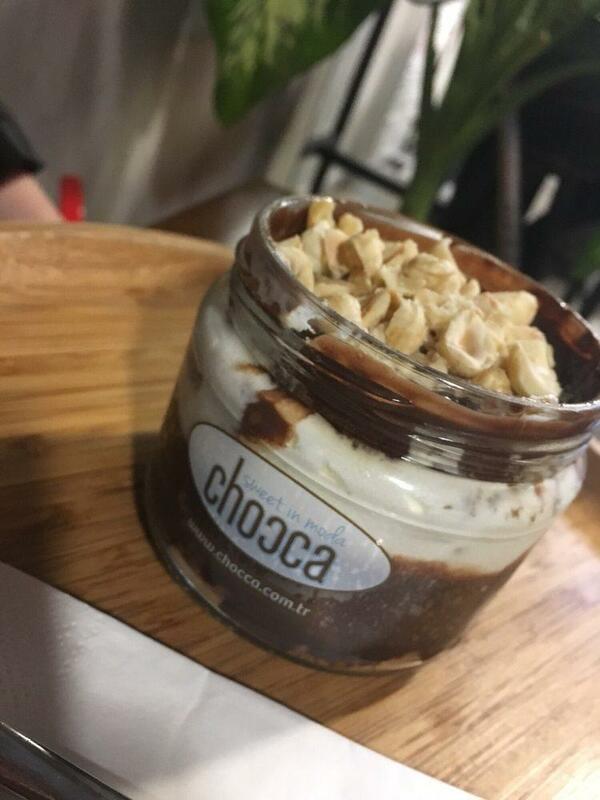 Ven a Chocca para probar unos bien preparados churros, un sorprendente tiramisú o una sabrosa panna cotta. Saborea despacio el insuperable café que aquí sirven pensando solo en tu disfrute. Este lugar empezó a atraer nuevos clientes gracias a su 4,3 en Zomato. I tried the Churros here today and it was Amazing.I have tried in many places but I loved how it so good and not too sugary.The people who works there are really sweet and it’s a lovely place for Italian Desserts.In this big city I would advise anyone who wants to try real Italian desserts this place.Thanks for the lovey meal and warm welcome. I was craving something sweet and had all the things I love!! The owner was so sweet and told me to try their Italian dessert next time ~ thank you for the great service and delicious sweets!